Catriona McPherson is the award-winning author of mysteries in multiple genres. She writes a 1920s detective series as well as standalone thrillers. One of the things that makes Catriona McPherson unusual is that she’s a Scottish writer who grew up on a diet that would send vegetarians running for the hills. For this interview with the current President of Sisters in Crime, we’re talking about food, culture, and the crazy ways they can clash. “Come to Harm,” Catriona McPherson’s latest standalone thriller, was inspired by events that took place while she was doing her PhD in Edinburgh in the 1990s. McPherson was fascinated by what a Japanese visitor would make of such a butcher shop and what fears she might have about the food. 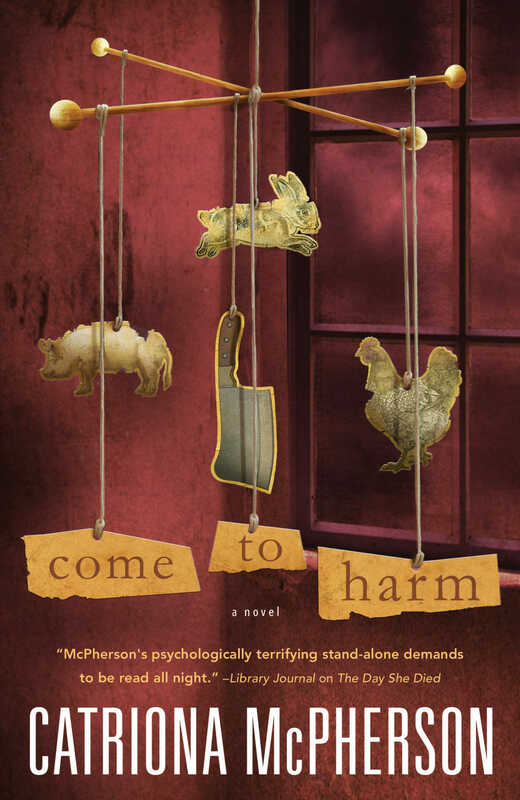 “Years later, ‘Come To Harm’ is the result of that musing turned into psychological suspense.” McPherson said that like the character Keiko in the story she is also a fish out of water. One challenge McPherson faced while working on “Come to Harm” was writing about the food, but not being able to eat it. She said, “I miss the meat pies of home. Pork pies—cold pork and jelly in a hot water pastry shell, steak pies—cubed beef with gravy in flaky pastry, sausage rolls—sausage meat in flaky pastry, bridies—minced beef in shortcrust, pasties—cubed lamb and vegetables in puff, and the pie of pies—known simply as ‘a pie’—which is peppery mutton in a small, round, suety case. They’re so iconic, I’ve got them on my website. Great interview! I am going to check out her books! Thank you! Thanks Barbara, I’m glad you liked the interview and I’m sure Catriona will like the idea of a new reader!